In my upcoming book, Get Back to Work: Smart and Savvy Real-World Strategies to Make your Next Career Move, the fourth chapter – Business Cards – shares ideas about what to put on a business card and where to print them. Business cards (also referred to as networking cards) are not only for those employed by businesses. Anyone seeking a new opportunity should have a business card. They are a great networking tool, so have them ready and use them. There are many different places where you can have business cards printed. Try www.vistaprint.com and www.gotprint.net on the Internet, or use a local print shop. You can also purchase business cards at an office supply store, a Wal-Mart, or a Target. Microsoft Word can even be used to create and print them. 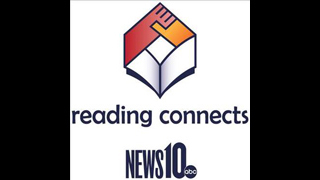 News10 has launched a major initiative called 'Reading Connects.' Its purpose is to help build a stronger community, one reader at a time. Fact: 37% of third graders in Sacramento read at grade level. 74% of those students will never catch up. News10 is teaming up with parents, businesses, schools, libraries and volunteers to improve the literacy rate in our area. We are combining the power of television, the web, and social media with the power of good people who want to make a difference. Reading is one of the keys to a successful and productive life. A minor investment of your time can change the path of a child's life. We are here to help with information, resources and opportunities- for you to help build a better community. the next time you go grocery shopping! If you shop at BelAir, Raleys or Nob Hill Grocery stores, a percentage of your purchases will benefit the Friends of the Sacramento Public Library. If you already have a "Something Extra" card, simply go to the website below and type in "Friends of the Sac", and the Friends of the Library organization will be displayed, or type in "95814" and select the Friends. If you do not already have a "Something Extra" card, you can sign up for one in any Raley's or BelAir store, or online at Raleys.com.